Thanks to the generosity of everyone who donated to our Snow Stone appeal in December we are very pleased to say that we raised enough money to complete the necessary repairs. Lettercarver Pip Hall completed the work (in both rain and shine) between 18 – 21 March and you can read her report detailing the process here. We would like to say a huge thank you to everyone who donated to the Snow Stone appeal and to the National Trust at Marsden Moor who generously contributed towards the costs. 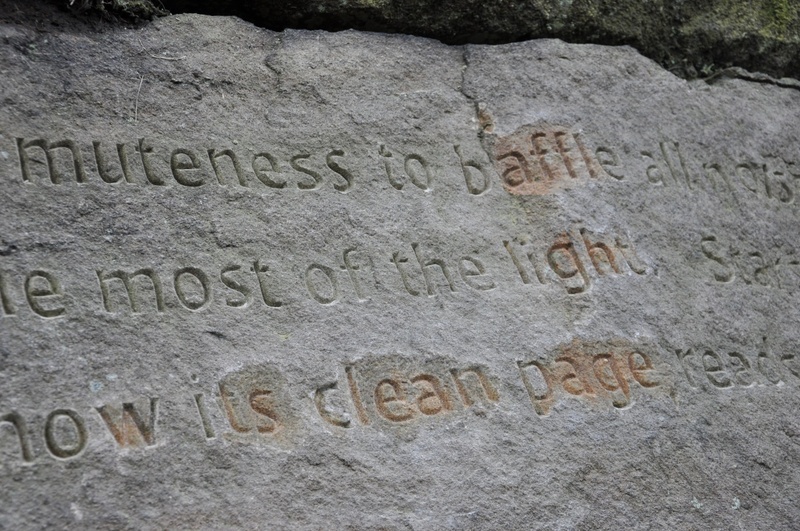 If you would like to visit the Snow Stone, or walk any part of the Stanza Stones Trail, you can download the guide here.